This is a town located in Assam in the Karimganj district on the very border of Bangladesh. Flanked on two sides by the Kushiyara River and the Longai Rver, this is one place which is abundant with natural beauty. Lush green forests and the winding , bubbling rivers make this town a joy to live in. One of the most prominent features in this town is the NOti Khal. Earlier it used to be a meandering and winding canal all over the town. This was the structure which connected the Kushiyara and the Longai rivers and helped in any communication between the rivers. It also balanced the water levels in both the rivers and helped in maintaining water balance in a very flood prone area. However today it is blocked in many places And it paves the way for road communication now. 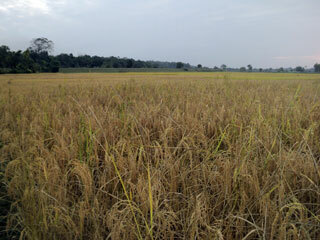 Just like all the other places in Assam, this is also a place which has been under the rule of many dynasties. One of the great places of Hindu learning, this is one place which has culture and history in every corner of it. 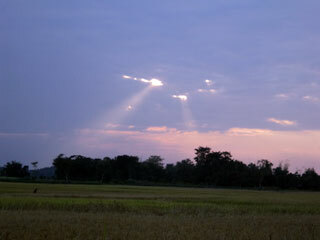 A part of the great Syllhet district , it was divided during the partition of Bengal and majority now lies in Assam. The forests of Karimganj were once rich in wildlife but now vanishing due to human onslaught. rare species found are Hoolock gibbon, Phayre's leaf monkey, Pig-tailed macaque, Asian elephant, White-winged Wood Duck, etc., have been recorded. This is the one place which needs to be preserved. A truly beautiful place to be in, Karimganj should be on every travellers agenda. Oddroad is the first travel discovery site where you can search holiday destinations & programs based on your preferences (one or more), like activities (bird watching, trekking, scuba diving, etc), terrains (high mountains, beaches, forests, etc), points of interest, states and many more. Once you choose a list of places or a program, we take care of the rest till the last bit. A combination of men and machine do the actual stuff of creating a customized itinerary and do the booking & coordination from there on, so that you can just focus on an unforgettable holiday experience! Oddroad has partnered with the best in class tour operators who are experts in specific geography (Himalayas, deserts, etc) or special interests (hang gliding, scuba diving, etc) and not just those hole-in-the-wall city agents who seem to be selling anything & everything! Our partners are new-age travel enthusiasts and hence have personally experienced what they are recommending to you. We believe in high quality & personalized programs so that you have a memorable experience and keep coming back to us! Oddroad understands that you deserve a fulfilling holiday and values your hard-money; hence our primary focus is to provide you the best "cost vs services" experience. That's the reason our tour partners are either based out of the local geography they are planning for or have personally visited & experienced such places! You will never receive a program through Oddroad, from a guy sitting in Cochin, selling Ladakh!! You can purchase a personalized holiday by paying online through your credit / debit card or through net banking (with all the obvious security) and offline by cheque or cash. Oddroad is constantly on the lookout for tour partners who are local / regional experts, are committed to deliver & above all, passionate about providing an unforgettable experience to our clients. Our users select destinations & programs based on their own preferences & hence expect a personalized holiday experience, which specifically suits their needs, fancies, emotions & budget. If you relate to this philosophy and would like to partner with us to cater to the highly informed & ever discerning new-age traveler, please click here to find out more.